In April, Laura at Bugs and Fishes started a new blog series looking back at what she was crafting that month for the last 11 years – go read it! This is such a fun idea that I had to join in and look back at what I was blogging about. It’s perfect timing too as I started my blog in June 2007 so we can jump in right at the beginning. Even though Asking For Trouble wasn’t officially a business until September 2007, it began a bit earlier as a hobby. My first post is two short sentences that tell you absolutely nothing! 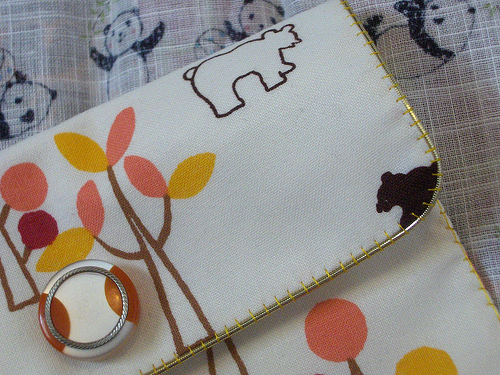 The photo is of one of the Japanese fabric purses I used to sew entirely by hand. June 2008 looks a bit more familiar with a mix of making, business promo, craft fairs and travel. 2008 Me had no idea at the time but this was a very important month. 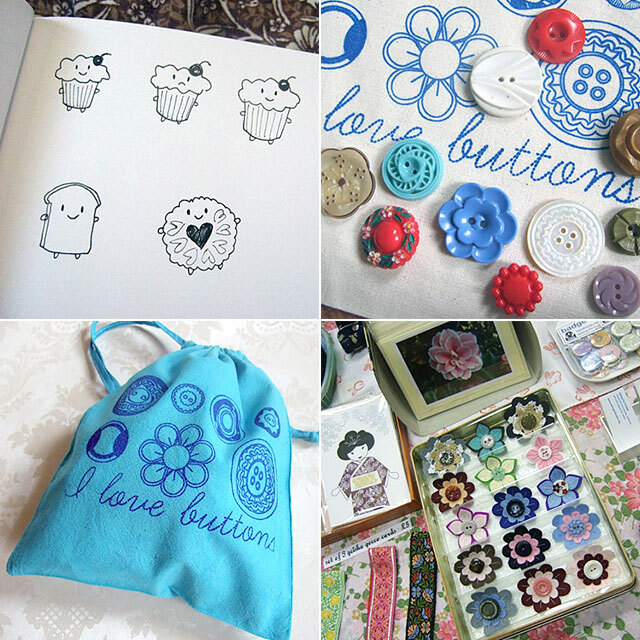 The vintage buttons bags were one of my first big sellers and the sketchbook doodles turned into my first original characters: Cakeify the happy cupcake, Jammie Dodger and Bread Slice. I was also getting ready to go to Thailand and visit Claire, where we’d come up with the idea for Super Cute Kawaii! Looking back at June 2009 makes me miss printmaking! I was experimenting with my gocco printer a lot and ordered some stamps of my characters. 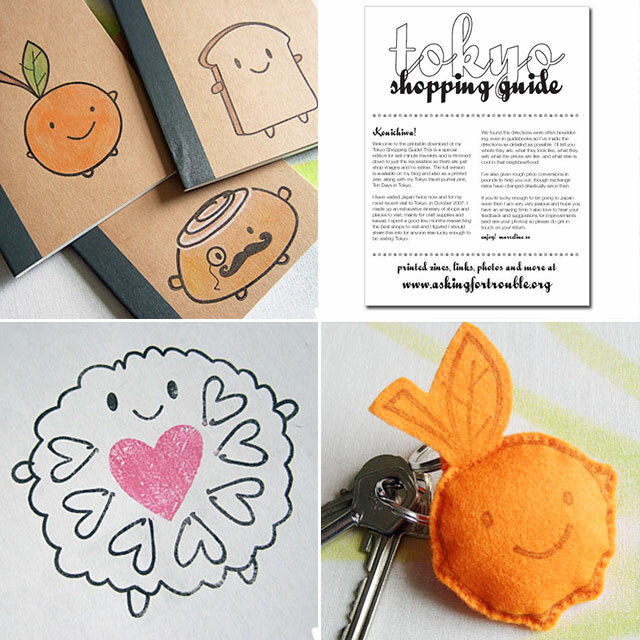 As well as handmade products, I took some steps towards making my life easier with the first printable edition of my Tokyo Shopping Guide. June 2010 was still very haphazard blogging – I clearly never planned anything in advance! 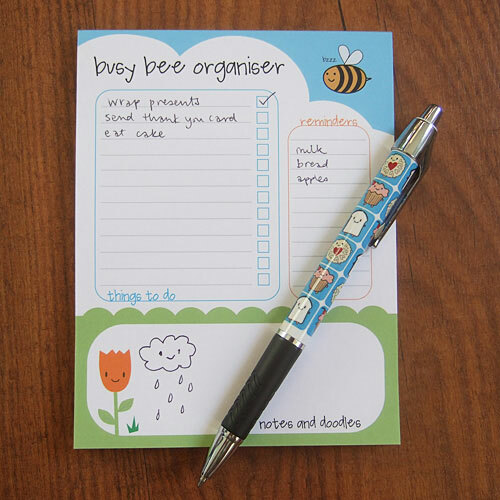 I shared a Bee & Tulip wallpaper along with this new Busy Bee Organiser pad. It’s still a strong seller eight years later and doesn’t look too different from the original. June 2011 was a quiet month for Asking for Trouble, but I was still kept busy with Pushpin Zines, my now-abandoned zine distro. I was also posting a lot of Japan content from my third trip the previous autumn. 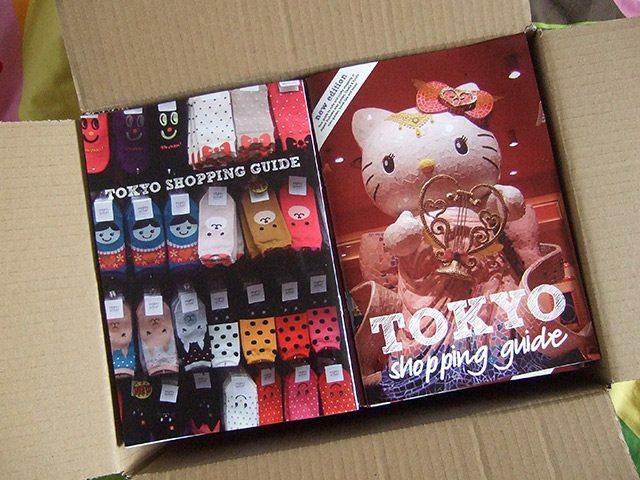 My online Tokyo Shopping Guide was growing and I also finished the second edition of my print guide. Getting that box of zines was a very exciting day! I miss the print guides but things change so fast now that it’s not really a viable option any more. June 2012 is the first year that really feels like I found my blogging voice and wrote useful interesting posts that are worth reading years later. There’s a really fun look back at how I created my Look Around characters – I’d forgotten it was originally an alphabet! I had just got into tapestry and finished my first kit (a nightmare) and started on my own design – of Angel Bunny in Thailand. 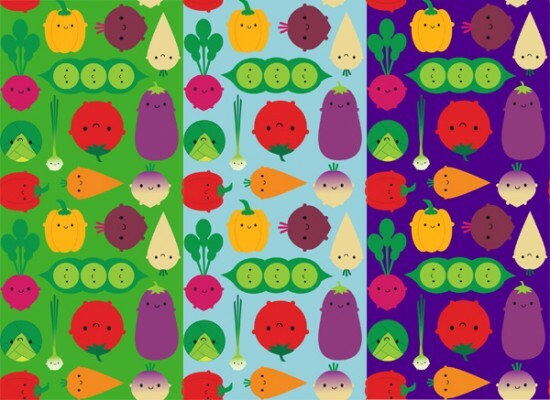 June 2013 has me in the middle of my first monthly free wallpaper challenge (the files are long deleted but there’s plenty more here) and creating patterns with my new 5 A Day characters. I had regular content with Friday catch-ups, Japan links and on-demand spotlights, plus I recapped my trips to the Lake District and Belfast. Most fascinating is the results of a stationery survey I ran. I said rubber stamps were unlikely so Clare from Serious Stamp contacted me and now we have a whole range of them. There’s lots of other good product ideas here including ‘calendar insert for day planners’ that I only got around to last year! 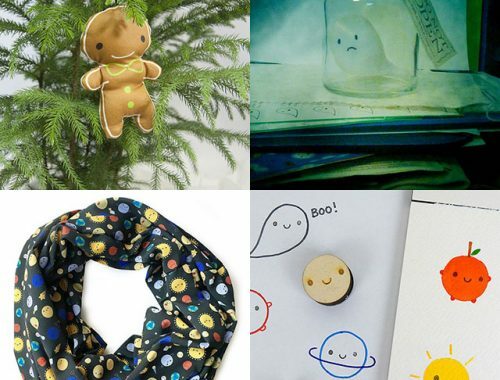 June 2014 was a pretty big month with the arrival of Cookie Cute gift wrap, the second run of my Sew Cute rain boots with Plueys and some new Solar System characters! I redesigned my website, which is still pretty similar to how it is now. 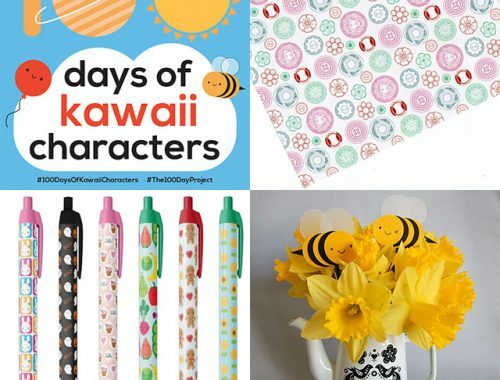 I also stepped out my kawaii zone to design some Sewing Notions patterns for a Spoonflower contest including a look at my design process. I see I promised a free zine of my Book A Day challenge but never followed through. I might dig that out and finish it for you! June 2015 includes a few posts from my favourite blog series: My Art History. I had recently brought home a massive pile of artwork from high school to art school and shared the best and worst pieces for your amusement. This post about textile design still makes me a little sad for paths not taken. 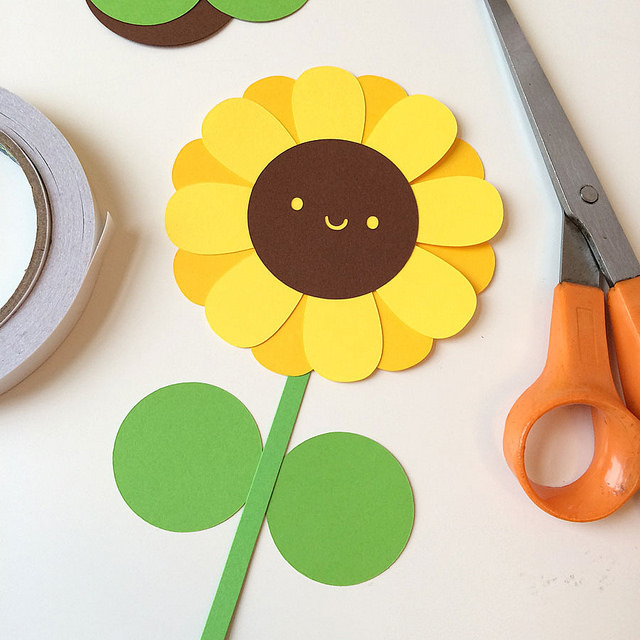 I was enjoying my new paper cutting machine, making Sunflowers and a Father’s Day card. It was my second year living in Helensburgh and I started to settle in more, sharing photos of my home and type drawer, visiting local gardens and taking a lot of photos from the seafront. I celebrated 1000 orders in my Etsy & NOTHS shops with a comparison of all my online shops. I’ve mostly stopped tracking stats like this, but I did notice I hit 4000 orders on Etsy recently so that’s a big jump in 3 years. In June 2016 I was just back from my 3 week solo Japan trip so it’s mostly lots of recaps. 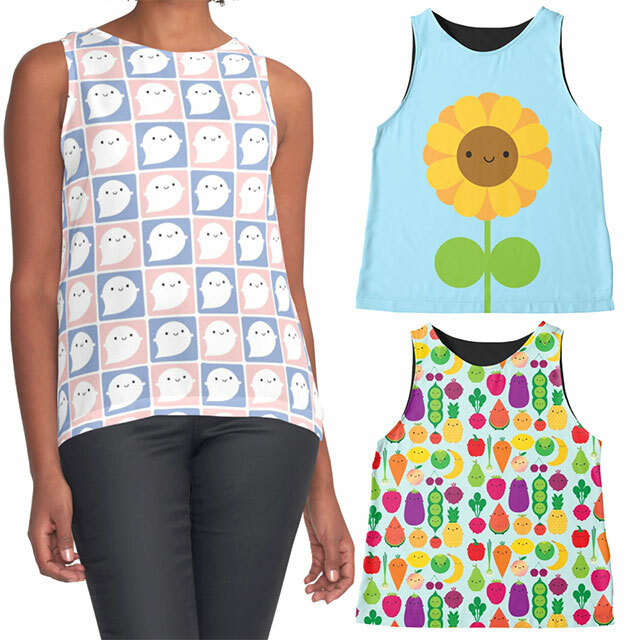 I did catch up with my on-demand stores and had fun adding my patterns to the new apparel at Redbubble. And who can forget this incredible dress made with my fabric. And we’re almost done. June 2017 also had a lot of Japan content – and completes the circle with the third edition of my Tokyo Shopping Guide! I was busy with my paper craft tutorials and made an adorable planets mobile this month. 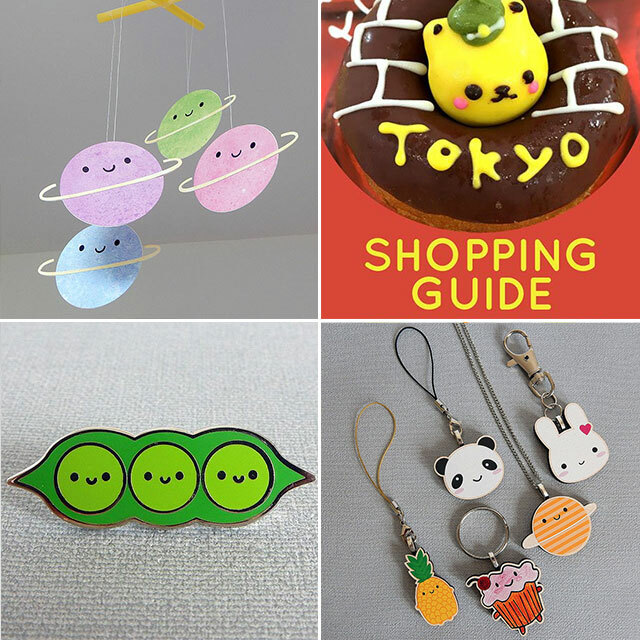 New products included my Peapod enamel pins and wooden charms, while my old wooden brooches were discontinued. I hope that was a fun look back. If you’re reading this in the future, you can also check out my posts from June 2018. 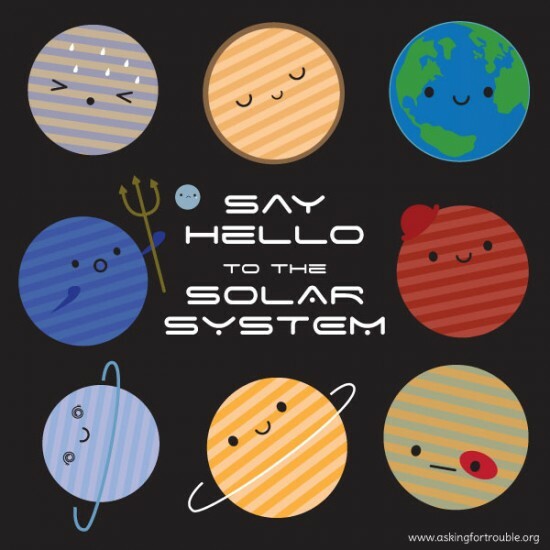 I’ll be back next month to see what was happening in July.